The COBIT 5 Foundation course is designed for IT professionals seeking a deeper knowledge and understanding of the governance and management of enterprise IT. COBIT 5 is the only business framework for governance and management of enterprise IT from ISACA®, the creators of the COBIT 5 framework. The framework incorporates thought leadership and guidance from business, IT, and governance experts around the world. The Simplilearn COBIT 5 course includes six lessons that cover the five principles and seven enablers that form the basis of the COBIT 5 business framework. Real-life scenarios and quizzes complement the COBIT training. COBIT 5 Assessment - to be able to perform formal process capability assessments. What career benefits are in store for you? The COBIT® 5 Foundation course is a professional stepping stone for enhancing IT knowledge and performing implementations and assessments of IT frameworks. This COBIT Certification course will help you shape your career by demonstrating your IT expertise and adding value to process improvements in your IT organization. After completing the COBIT training course you’ll be well positioned to become an IT auditor, IT quality professional, or other in-demand IT roles. In India, COBIT has been recognized by the Reserve Bank of India (RBI) and the Securities and Exchange Board of India (SEBI) and has been adopted by the Comptroller and Auditor General (CAG). Among the leading private banks, HDFC has adopted COBIT, and a case study on its implementation is available on the official COBIT 5 website. Many other Asian countries such as the Philippines and the UAE have adopted and accepted COBIT for their audit institutions or finance audit departments in government agencies and organizations. In North America, South America, Australia and Europe, COBIT is widely adopted and used in various multinational companies, government departments and financial institutions for audits and assessments. A comprehensive list is available on the COBIT 5 website. Professionals certified in COBIT 5 can earn an average monthly salary that ranges between $112,000 and $122,000. If you’re working in audit and insurance, risk management, information security, regulatory and compliance, or governance of enterprise IT, then COBIT is your one stop solution for mastering information technology. 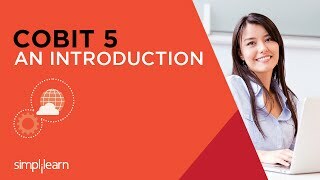 IT professionals such as auditors, IT managers, quality professionals, developers, process practitioners, and managers in IT service-providing firms (or IT service-providing departments of any firm) will find this COBIT 5 course helpful in advancing their career. How do you become a certified COBIT 5 professional? To pass the COBIT 5 Foundation exam, the candidate should have thorough knowledge of the five COBIT 5 principles, the seven COBIT 5 enablers, the seven-phase implementation lifecycle, and the process capability assessment. One must possess experience in providing IT service and should have donned various roles in Enterprise IT to be able to understand and relate to the concepts covered in the COBIT course. There is no other prerequisite for this course. The online or paper-based examination consists of 50 multiple-choice questions and requires a score of 50% or higher to pass, which means that at least 25 questions have to be answered correctly. Once the online examination is completed, a score with “Pass” or “Fail” is generated. For the paper-based examination, please contact your Simplilearn coordinator for more details. What are the prerequisites for a COBIT 5 certification? No formal qualification is required to take this COBIT course or complete the exam, other than the experience and knowledge of IT service-providing firms or IT service-providing departments of any firm. For customers outside India, web-based exam vouchers will be booked, and for India customers, only paper-based exam will be booked. Customers are expected to book the exam before the expiration of validity of their course. I would like to book paper-based exam in India, what is the process? You can book paper-based exam by contacting our team and walk into the centers at below mentioned cities to take the exam. Simplilearn provides best quality content relevant to the industry and keeps it up to date. Happy with the overall course quality. Thank you Simplilearn. The training is concise and it provides clarity on the subject. This course has successfully covered all the required information about COBIT in a very simple manner . The trainer is extremely knowledgeable. With the most reliable WebEx training platform, and the trainer's interactive and communication skills, it felt as though I was in a class room training. Thanks for giving me the satisfaction that your Simplilearn online training was more than worth the money! The course was conducted well. It elicited good interest and participation. The training session was good and the trainer was very good with the examples. The Training was good and we gained a lot of knowledge; fully satisfied. The course ware was very good. What made it interesting is the way the trainer explained all the points lucidly to make the concept Simple & Practical. At high Level, it was good. Looking forward to next level of Implementation course. COBIT5 course content is good and relevant. COBIT5 training provided was very useful and specially the examples quoted were explanatory and helped me to understand even complex things. Overall the training helped a lot to get a complete understanding on the subject which can be applied on the real time job. Very well-structured and delivered. Industry related practical examples and illustrations provided, helped exploring the concept clearly. How many questions comprise the COBIT 5 Foundation examination? The COBIT® 5 Foundation exam comprises 50 multiple-choice questions that are to be completed in 40 minutes. A total of 50% (25/50) is required to pass, and it is a closed book exam. Computer-based testing is the standard method for COBIT 5 exams, but paper-based testing is also available. What happens after passing the exam? After passing the exam, the names of successful candidates will appear in the Successful Candidate Register (if candidates have opted to register). The certificate will be sent to candidates at their correspondence addresses. Do I need to renew my COBIT certification? The COBIT 5 qualifications are valid for an indefinite period of time and do not expire, so there is no need to renew the certificate once you pass the exam.